The doctor has a warm demeanor and spent a good amount of time talking with me about my pain, asking questionsand then telling me the goals of the first session. Because this was my first session she was careful to keep checking with me to see if the needles hurt before proceeding to the next point. She told me what to expect and I'm eagerly looking forward to the next session, This professional left me feeling very optimistic about managing my MS related issues. The doctor has a warm demeanor and spent a good amount of time talking with me about my pain, asking questions and then telling me the goals of the first session.Because this was my first session she was careful to keep checking with me to see if the needles hurt before proceeding to the next point. She told me what to expect and I'm eagerly looking forward to the next session, This professional left me feeling very optimistic about managing my MS related issues. Dr. Haiyan Shi Hawkes is the owner and chief practicioner at the Jade Path TCM Clinic. TCM stands for Traditional Chinese medicine. Haiyan has been practicing medicine since she graduated from Guangzhou University of Chinese Medicine in 1991. Guangzhou University of Chinese Medicine is recognized world over as one of the leading institutions for the study and practice of medicine and is on the World Health Organization (WHO) list of affiliated universities. In 1994, she also graduated from Guangzhou Medical University’s family medicine program and expanded her practice to also include western medicine. Haiyan has practiced successfully in both Hospital and family medical clinic environments. She brought her practice to the United States in 2001 and is dedicated to the concept of integrative and holistic medicine, of which TCM is a major component. She believes that medical professionals must look at the mind, body and spirit as whole, interdependent systems and not just distinct problems. Her practice features significant personal time with her patients and focuses on treatments that look toward long term health and happiness. In her spare time Haiyan volunteers with community groups educating people about general health issues like nutrition, exercise, TCM and investing in one’s health. She also travels and performs with the Yellow River Arts Ensemble (YRAE) to enrich cultural life for Chinese-American communities by giving concerts and performances at social events and to Promote Sino-US cultural exchanges. I have been dealing with chronic pain for two years. After trying multiple doctors (whom only prescribed pain medication) I decided to give acupuncture a try. I have to say that although my pain isn't completely gone it is significantly reducedand my sleep has become more consistent. What is great about this doctor is the fact that she explains ( and will re explain if needed) about what she recommends as well as what is happening to your body. She is very friendly and knowledgeable. I will definitely recommend her. I am very happy with Dr. Hawkes. She has helped me tremendously, I was in a lot of pain when I first saw her and the pain is getting less all the time. She spends a lot of time with thepatient and never is in a rush. She is friendly, never makes you wait and has a great bedside manner. I wish I had have gone to see her sooner. I would recommend her to anyone! I arrived half an hour early, and I was still taken back right away. Ms. Hawkes went over my medical history, and even advised me that she could assist me with some of the issues I listed in my medical historyon top of the back pain I was seeing her for. She asked if I wanted to pursue treatment for all areas, and I agreed. It was my first time seeing an acupuncturist, and I was nervous. She explained everything to me both beforehand and while she was performing my treatment, and she was very patient with me - I had trouble understand what she was saying from time to time, and she never got frustrated. The treatment room was warm, comfortable, and clean. She was gentle and frequently checked with me to make sure I was comfortable. I left feeling refreshed, and I would definitely recommend her. 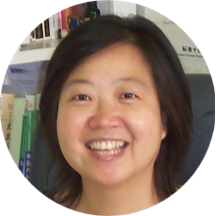 Dr Haiyan Hawkes is very knowledgeable about acupuncture and Chinese medicine in general. I went to see her for premature ovary failure. I am only 38 years old but I have very irregular periods and start having menopausal symptoms. Needlessto say, it's devastating since my husband and I finally decide to have a baby. Western medicine can only explain my conditions by genes or environmental stresses. Even IVF specialists turned me away because I am not a "promising" patient. I received acupuncture therapies for a little over 3 months. Even my husband noticed the change in my mood - much calmer and positive. I also noticed significant improvement in my ovary functions - I cannot say I am cured, but it's improved substantially, which might open a small window for me to finally to get pregnant. For that, I am very grateful for her help and would recommend Dr. Hawkes to anyone. Dr. Hawkes listened to my health concerns, then designed a unique treatment plan to support my journey to wellness. As a result, I am no longer suffering from the pain and agony of my past physical condition. By faith and regulartreatments my body is healing! That is why I encourage others to make an appointment to see Dr. Hawkes. You will be glad you did. Initially I was apprehensive about acupuncture, because I heard it was weird. However, on my first visit, the practitioner explained the history of the procedure and how it works with your body to help it heal. After the first procedure Iwas able to sleep better at night. I thank GOD for blessing me with a knowledgeable doctor . Dr. Hawkes was great! I arrived and she got right down to business. Since this was my first visit, my consultation lasted about 20 mins and then she showed me into a treatment room. She explained what she was going todo, told me strip down to my underwear, lay down on my back on the table, and left the room. She came back a few minutes later and it was all over in an aggravatingly blurry two hours later. I got up feeling much better than I had been going in. I would fully recommend Dr. Hawkes. Dr. Hawkes is the fixer! I went in with nagging pain in my shoulder and knee and came out feeling much better. She really knows what she's doing and can exactly pinpoint the areas that are the cause of distress bytouch. When we were finished she gave her recommendations. While she didn't push for another visit, she encouraged that I come back for more treatment. I intend to come back. I like her and I like that it's a natural treatment without medication.